Without any printed discussion, the proposed new town seems to have been universally referred to as the Town of Babylon, which was the name of the dominant community on the south shore. Following the referendum, a commission of prominent citizens met, and within a week established the boundaries of the new Town, which were suggested by James T. Morris of Amityville. Judge John R. Reid of Babylon was instructed to draft the bill to create the Town of Babylon. J.H. Woodhull and Daniel Carl were named to take charge of the bill and secure its passage. 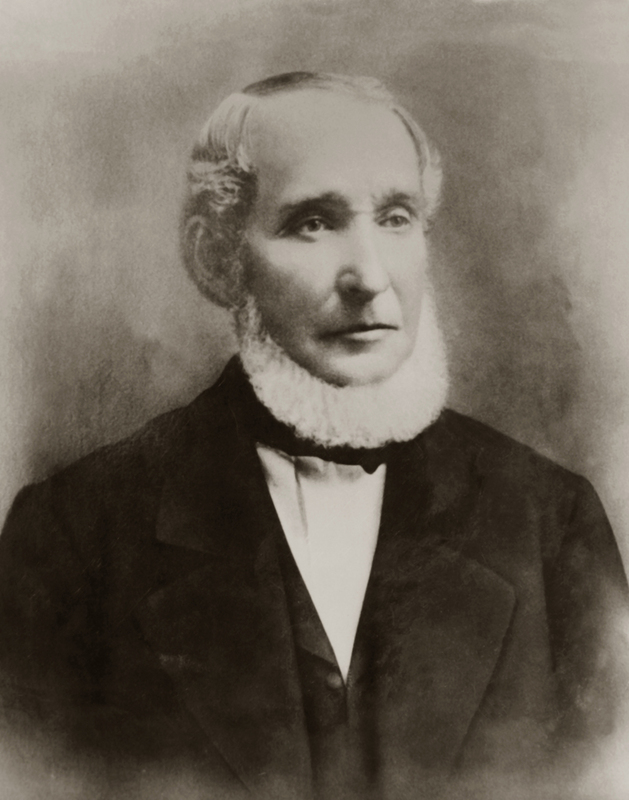 On February 17, 1872, the newly elected Suffolk County Assemblyman John S. Marcy introduced the bill to the New York State Legislature. The bill was approved on March 13, 1872. 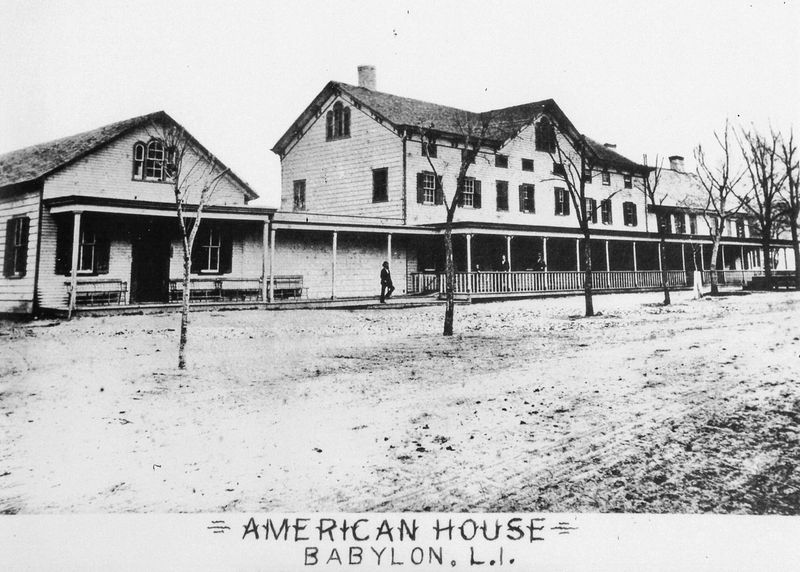 The legislation provided that the first annual meeting of the Town of Babylon would “be held at the hotel of P.A. Seaman and Son in the Village of Babylon on the first Tuesday of April.” The Seaman Hotel was actually the historic “American House.” Tragically, a little more than a year after hosting the new Town’s first meeting, the hotel was destroyed by a fire of unknown origin. At the first Town meeting, five resolutions were approved. It is interesting to note that the first resolution in the history of the Town of Babylon was an appropriation of $1,500 to support the poor. The American House Hotel and Tavern was erected about 1780 by Jesse Smith. It was located on the Northwest corner of Deer Park Avenue and Main Street. The official seal of the Town of Babylon was authorized at a meeting of the Town Board on April 2, 1878. The American eagle represents the nation. The clam and the oyster above the bird, the eel in the beak of the eagle and the fish below are representative of the diverse marine life that constituted the main industry of the town when it was founded in 1872. The original seal had a blue center surrounded by an outer circle of white. In 1964, the bands were colored yellow for contrast. The first step in forming the new government was nominating candidates for public office. At a meeting in Amityville, a union or coalition ticket headed by Republican John Robbins was nominated. In Babylon, an opposing coalition ticket led by Democrat Elbert Carll was nominated. In a tightly contested election, Carll became the first Supervisor of the Town of Babylon with 364 votes to 349 votes for Robbins.